New HORTON RECORDS shirt design incorporating elements of the official TULSA FLAG. Design by Steve Hammons at idTulsa. NOW AVAILABLE in the MERCH section. Bella Canvas Tri-Blend – sizes XS thru 3XL. 2-sided – 3-color print. PRE-ORDERS ship 4/16/18 with a FREE CD and sticker. 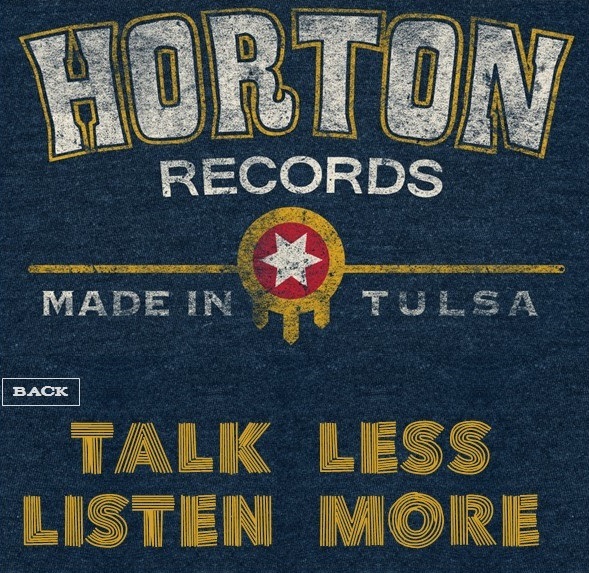 All proceeds directly support future Tulsa-area music projects. BUY NOW!